A resident of Vlasenica, located in Eastern Bosnia-Herzegovina, shakes the hand of a U.S. Soldier from Charlie Co. and thanks him for his presence. 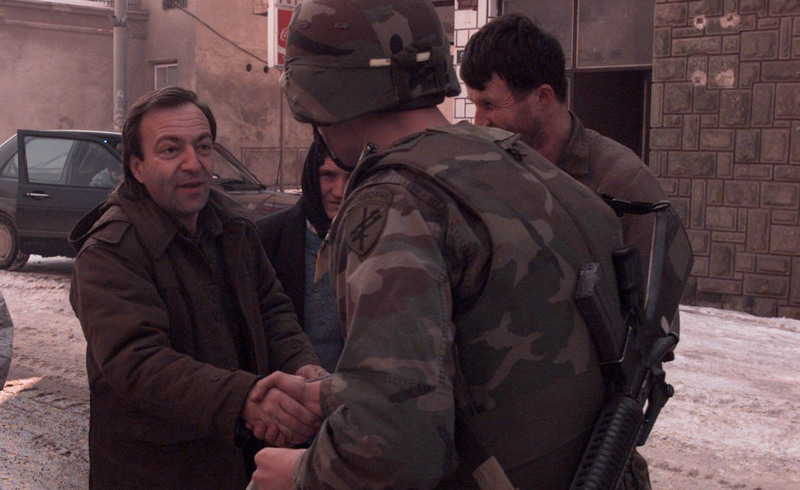 Residents of this community, which was under the control of Serb Soldiers of the renowned Drina Corps, came out into the streets to thank the soldiers of Charlie Company who passed through as part of the peace keeping duties.